It was just one of those things, an accidental happening that can change the course of destiny. And it all happened because Tex and Harry were arguing as Tex fumbled with the stereo in the Hummer. “Well, at least he don’t listen to the Dixie Chicks!” added Cindy-Lou with a grin. The mooseketeers giggled as Tex squirmed. Everyone knew the Dixie Chicks were communists. Just then, Cindy-Lou swerved to avoid a small pile of rotting cadavers on the road, causing Tex to lean heavily against the stereo. 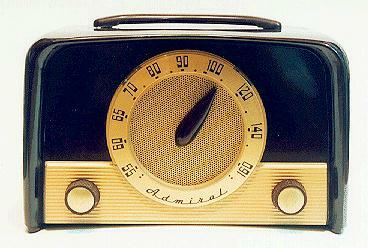 To everyone’s surprise, the radio came on—and this time, amid all the usual post-apocalyptic static,there was an actual voice. They slowed down and pulled over on the road, flagging the other vehicles in their small convoy to stop. Most everyone agreed: it was worth a detour to find out what was up. 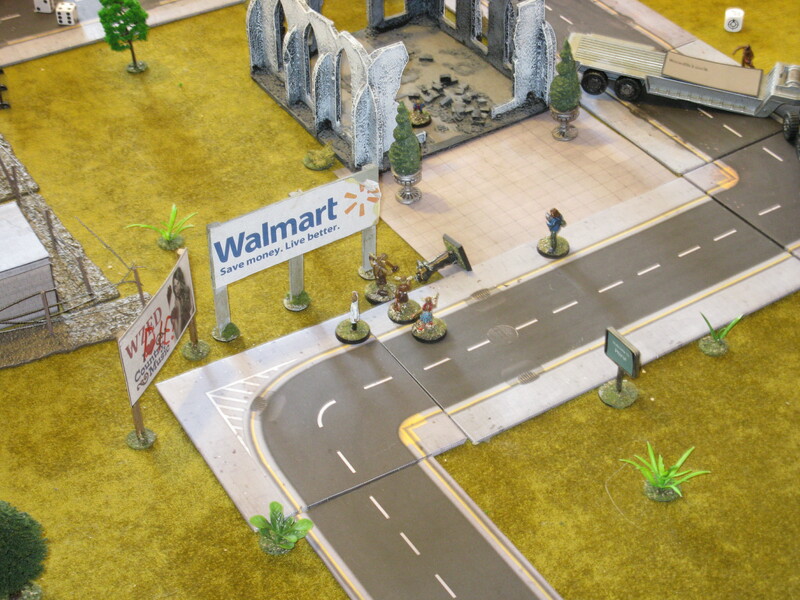 In any case, they needed fuel and supplies if they were to make it to their final destination of the secret Walmart factory, and Tuskalocha seemed as good a place as any to find them. “Can we bring guns and eat smores?” asked young Jessy. Survivors: Mr. Moose (Big Moose of Herd #704); Jessy, Tommy, Willy, and Bobby (mooseketeers), Helga Frankfurt (moose mom), Laurie Kraft (ex-mooseketeer and former Olympian), Cindy-Lou Bayou (Bobby’s older sister), Tex McClintock (Cindy-Lou’s boyfriend), Harry Montana (Cindy-Lou’s ex-boyfriend)., Dr. Myles Boffin (research scientist). 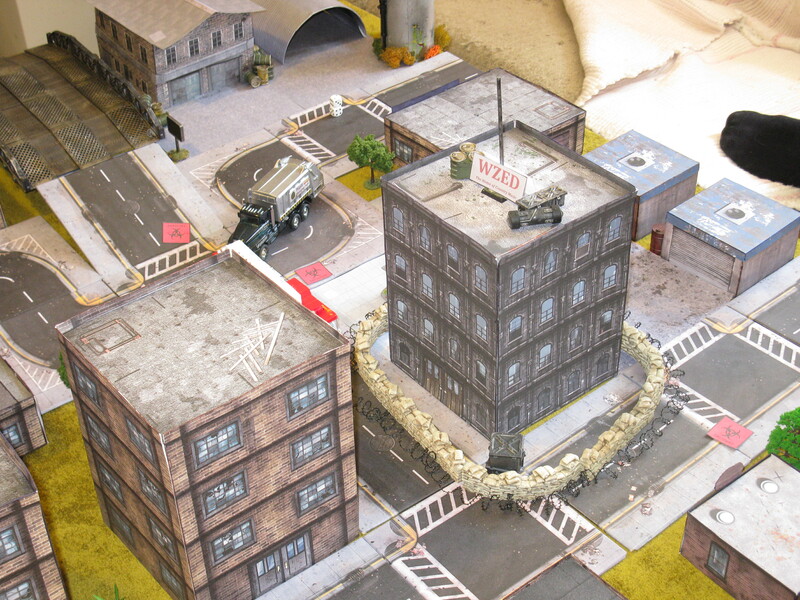 Objectives: The survivors must locate and investigate the studios of KZED. In addition, they must find gasoline and 12 supplies. 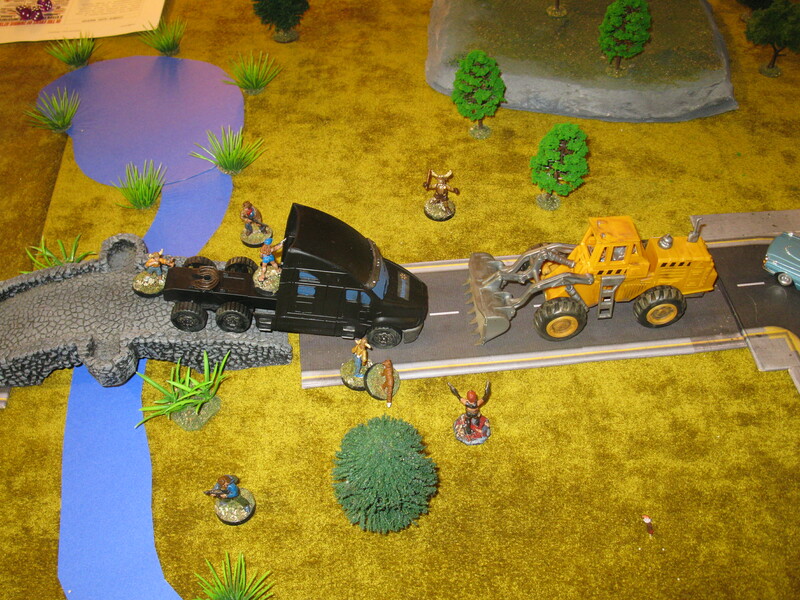 They have a Humvee (with 2 points of damage), a front-end loader (1 point of damage), and a convertible (1 points of damage). They must exit the way they came with enough working vehicles to carry the entire party. Special Rules: Face-down chits mark possible obstacles on the road. These are automatically revealed when a player is within 8.” The front-end loader may attempt to clear blockages with a double action, needing a 4+ to do so. For obvious reasons, Tex and Harry don’t get on. If they start their turn within 3″ they squabble. 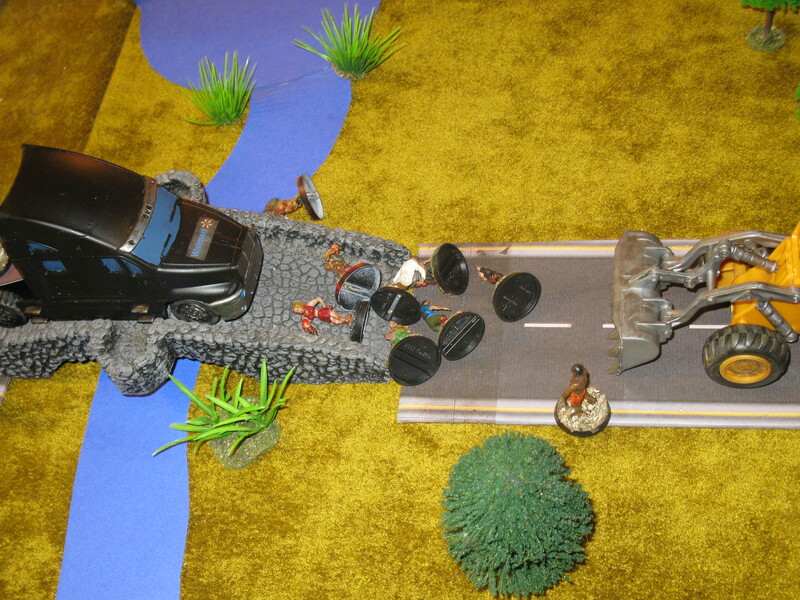 Both roll a d6: the survivor with the highest roll gains an extra action, and the player with the lowest roll loses one. If the result is a tie, they both lose an action—unless it is a double 6. In that case, they both forget about Cindy-Lou, and a budding bromance begins. The survivors have two empty gasoline cans and siphons, which must be assigned to characters. They may also carry and use one of the blocks of C4 from the hummer (counts as dynamite). Surveying Tuskalocha from a distance, the survivors soon spotted their destination: a tall four-story building in the downtown area, with a radio transmitter on top. It appeared to be heavily barricaded. Unfortunately, there was also a lot of dangerous ground to cover between them and it. It seemed unlikely that they would be able to drive all of the vehicles into the centre of town, given the wreckage strewn along the route. The convertible was pretty dinged up already. Therefore they decided to leave both it and the Humvee on the outskirts. Cindy-Lou would drive the front-end loader a ways closer to the radio station in case they needed it to clear a way, but it was too loud to take too far into a zombie-infested built-up area. Eventually they would have to all proceed on foot. Looking towards a distant hill, Tommy thought he spotted a small group of survivors amid the trees. If so, they soon disappeared into the woods. “I hope they don’t plan to steal the vehicles,” said Harry. To be safe, they took the keys to the Humvee and the convertible with them. In the distance, a small pack of feral dogs could be seen near the stream. Dogs rarely attacked larger groups, however, so they didn’t seem something to worry about. Laurie, Willie, and Mr. Moose made short work of the runner. 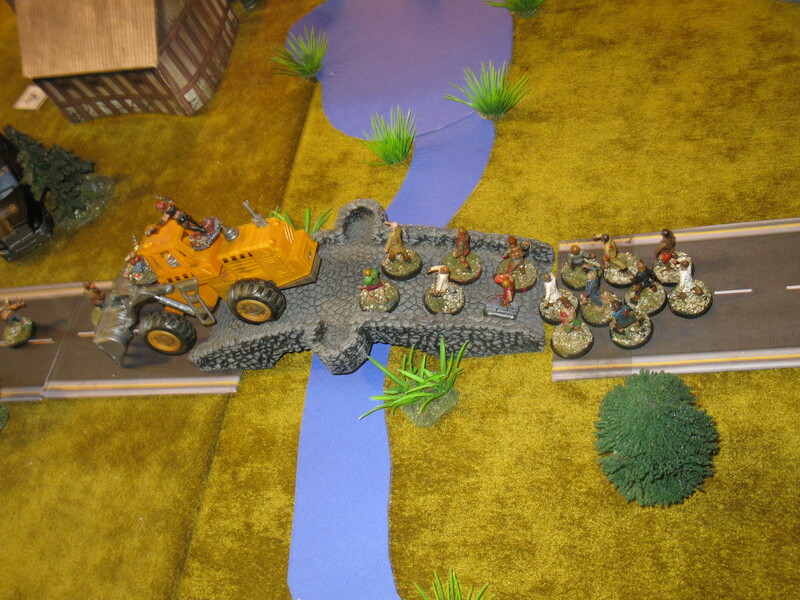 Tex opened fire on the shufflers, but only wounded one. Uncharacteristically, Myles ran forward to help and battered a second into a bloody pulp with his scientific calculator. Just then, a piercing scream was heard. Young Bobby Bayou panicked and ran off in the opposite direction. “Why you come right back here this moment!” shouted Cindy-Lou as she jumped from the driver’s seat and ran after her brother. “Yes Bobby, remember a moose never runs screaming from his foe!” added Mr. Moose as he joined the pursuit. For miles around zombies heard the scream, and started to stumble towards the survivors. Cindy-Lou and Mr. Moose caught up with the sobbing young mooseketeer a few minutes later, but he was inconsolable. He was also remarkably agile, slipping from their grasp time after time. “I’m afraid there is only one thing a moose can do!” said Mr. Moose, as he and Cindy-Lou bludgeoned the youngster unconscious. The mooseketeers all cheered at the news, although not so loud as to attract any mindless, murdering undead. Having regrouped, the party continued forward on foot. 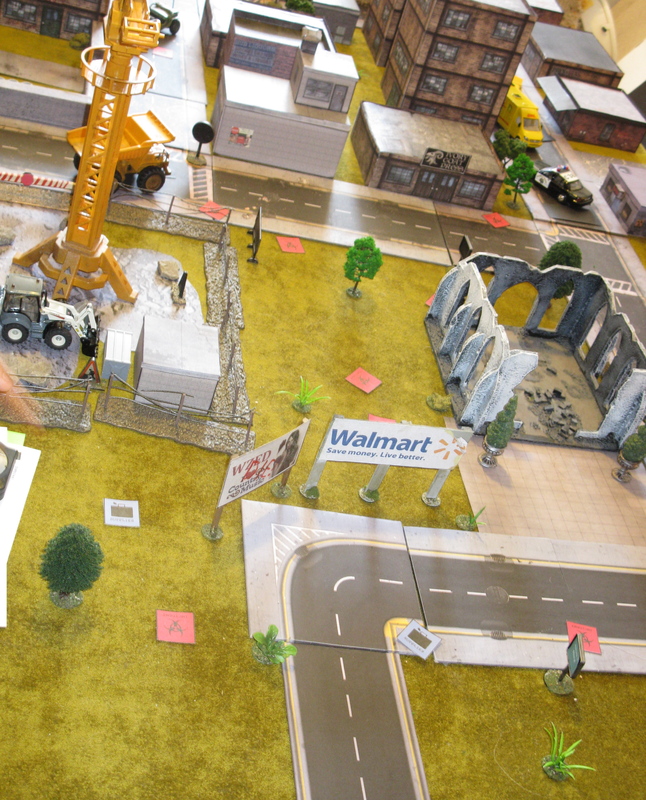 Cindy-Lou and Tex went off to check out a WalMart truck on the road near the farm, while Helga, Laurie and Willy went to search the construction site. The rest continued towards a burned-out church. Out of the ruins of the once holy building, zombified priest and altar-boy appeared. The zed-priest showed unusually intelligence in its glazed-over eyes, and let out a loud groan that seemed to attract other zombies in the area. A zombie boss! Overhead the skies darkened ominous, and it began to rain. An omen, perhaps? Despite the downpour, Jessy capped the boss with a single shot to the head. It was the first boss they had seen in many weeks. Possibly attracted by the good-ol’ country music of WZED, it would be only one of several they would encounter this day. The ankle-biter was dispatched by Harry moments later. As he did so, the roar of a powerful engine could be heard off to his right as Cindy-Lou—as good with trucks as she was with boys—hot-wired the big semi and got it to start. While that was good news, Harry couldn’t but be jealous at the thoughts of that low-life varmint Tex McClintock alone in the cab with her. Meanwhile, Helga, Laurie and Willie started to search the construction site. The storage shed, unfortunately, had already been broken into and anything of value long ago looted. However, they saw something moving in the street beyond. Zombies? No, survivors—three of them, led by a man in an impeccably-cut suit. 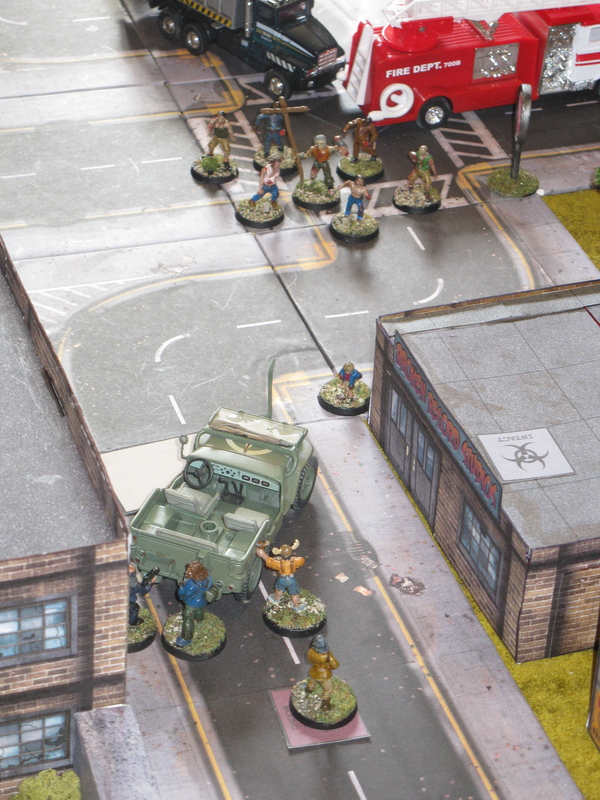 Before the could call out a greeting, however, three shufflers came out of a nearby alley and attacked the strangers. With only a few fleeting thoughts for their own safety the mooseketeers ran forward to help. Imani, a Kenyan exchange student, smiled and said hello in a charming British colonial accent. The Mooseketeers asked if she knew President Obama, who had also been born in Kenya before he joined the COMINTERN. Daryl—coincidentally another one of Cindy’s ex-boyfriends—looked at Harry and scowled. Harry scowled back. Tex, approaching the group from a distance, scowled at both of them. 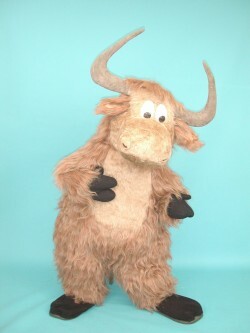 Khan immediately liked Mr. Moose, who immediately reminded him of the Khogsan Yak (“Old Man Yak”), the venerable children’s’ program presenter on Mongolian state television. They agreed to join forces. As they did so, Daryl elbowed Harry, who spat on his boot. A tussle ensued, during which time Tex and Cindy-Lou slipped into a nearby bookstore—Ivory Goat Press—to check it out. It was due to such quick thinking like that Tex was a current, not ex, boyfriend—and he intended to keep it that way. The enlarged group of survivors cautiously advanced down the road towards the radio station. Myles lagged behind, having trouble again with his asthma. As they approached an abandoned jeep, however, they could see a large group of shufflers headed their way. One of them, moreover, was waving a makeshift club and brandishing severed head. Another boss! “Achtung, Kinder. Seien Sie vorsichtig!” shouted Helga to the children. As she did so, Khan’s bodyguard training took over, and he ran to place himself between the mooseketeers and danger. 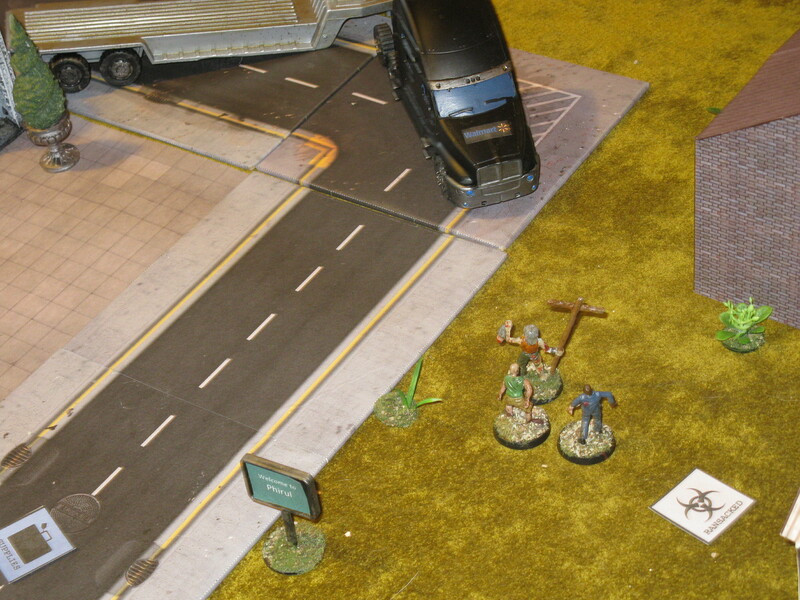 Opening fire with his submachine gun, he mowed down a couple of the shufflers. However the others soon tore him apart. “Khaaaaaaaaaaaaaaaaaan!” shouted Helga in rage and despair as she climbed on top of the jeep, firing her Schmeisser into the crowd of undead. Laurie, Imani, and Mr. Moose ran up to help too, while Tommy took one down with his sling. After a fierce fight, in which Helga was badly wounded and Laurie was bitten, the undead were finally terminated. Tex, newly equipped with bloodied body armour he had taken from a soldier-turned-zombie, joined them, as did Cindy-Lou. By this time the group had managed to scavenge both the supplies and gasoline they needed. Indeed, Harry had even found a small cache of 9mm ammunition. All that remained was to check out WZED. They had to hurry, though—the shadows were getting longer as sundown slowly approached. Mr. Moose and Willy went on ahead to investigate the radio station, while Cindy-Lou tried to start an abandoned fire truck. It worked! However, with the roads clogged with debris it would be a challenge getting it out of town. The rest of the group halted a moment to redistribute some of the ammunition from the cache Harry had discovered. Just then, a fearsome, muted zombie ran towards them at surprising speed, reeking of death. Helga, Imani, Harry and Daryl fired at it, letting loose a couple of dozen rounds—but it still kept coming. Harry was wounded, as was Daryl, but they finally destroyed the abomination. “Do you have a lot of these in America?” asked Imani as she surveyed the huge, muscular, bloated body. The glossy university brochures she had read in Nairobi certainly had said nothing about mutant zombies. Or the regular ones, for that matter. At WZED, Willy and Mr. Moose found the building heavily barricaded. Soon, however, they had forced their way in. Inside the building was dimly lit, and the sound of a generator could be heard somewhere in a basement below. Empty crates of beer were stacked up against one wall. A young woman stepped into sight from another room. She was dressed in a star-spangled lycra outfit, with somewhat punkish hair. Her clothes didn’t exactly say country, but the accent did. The rest of the group soon joined them. Cindy-Lou took a look at the generator, and declared it wasn’t long for the world, fuel or no fuel. 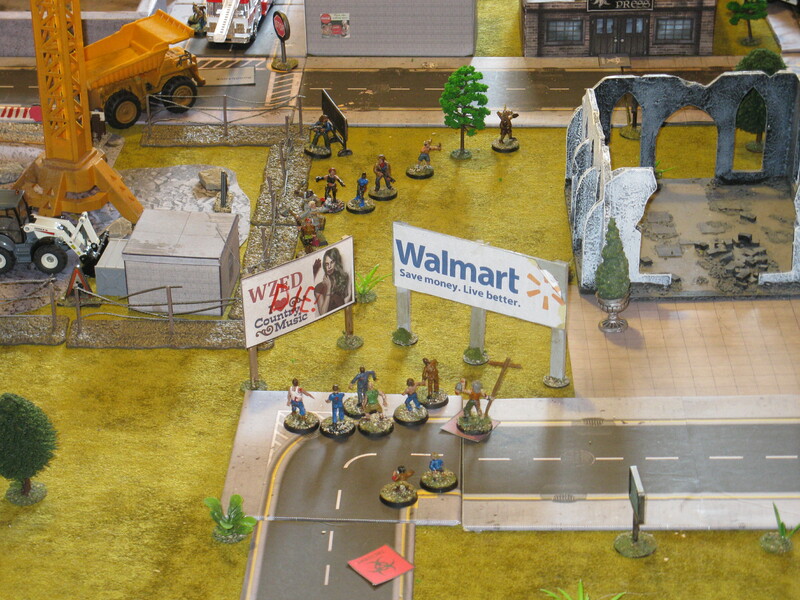 And so, with the mystery of WZED solved, the fuel and food they needed in hand, and a heavily-armed party that had grown by six since the first arrived in Tuskalocha, the survivors began the long walk back to their vehicles. “Well, this shouldn’t be too difficult ,” said Cindy-Lou, as Tex, Harry, and Daryl jostled and vied for her attentions. “Surely we’ve done and killed all them undead critters.” Part of the way they drove on the fire truck, which Cindy-Lou managed to squeeze past several obstructions. Near the construction site, however, a heavy dump truck blocked the road. They could drive no further. Moreover, Cindy-Lou’s optimistic hope for a zombie-free way back couldn’t have been more wrong. 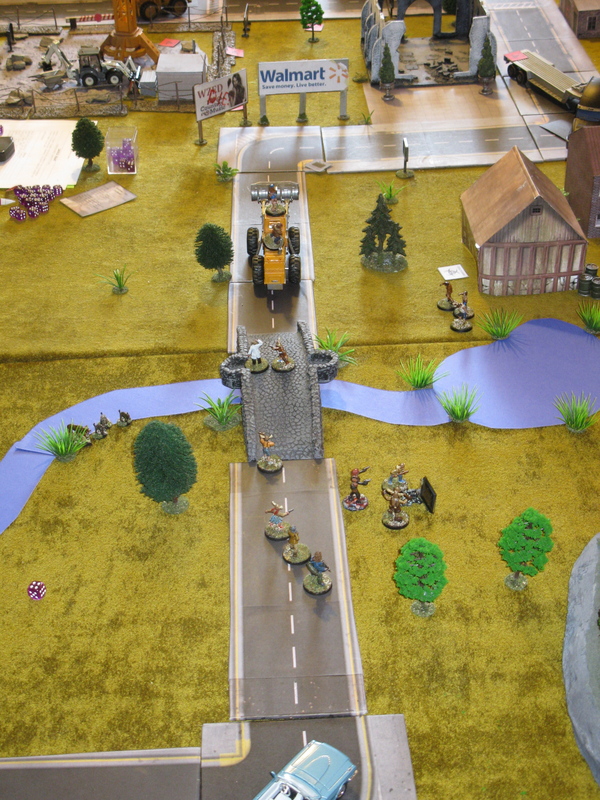 In the distance yet another zombie boss was approaching, with several undead minions. They briefly fought with the pack of feral dogs, until the dogs fled. Groaning loudly, the boss gather more zombies to his side. Almost a dozen now stood between the survivors and their vehicles. The badly-wounded Helga stayed back with most of the children at the fire truck, while the rest of the group formed a firing line. Harry and Imani were starting to run low on ammo. 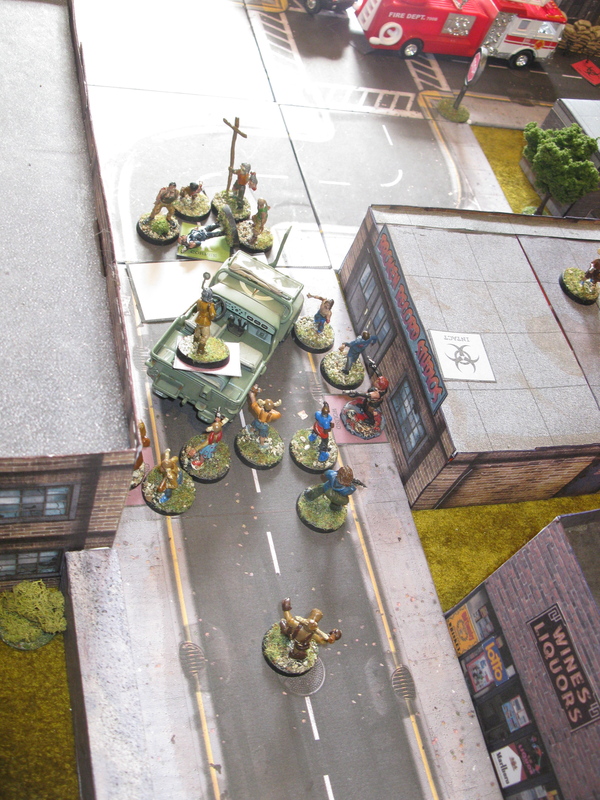 Several of the zombie were shot down, but the others reached them and a desperate melee ensued. 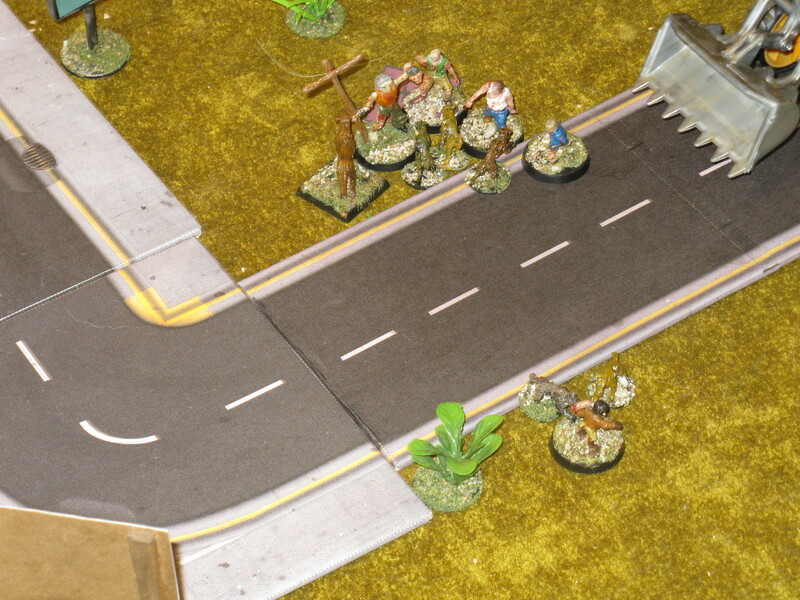 Thing 1 and thing 2 were killed, while Polly and Imani were lightly wounded. Despite his heavily-padded costume, Mr. Moose was both bitten and badly mauled. Seeing this, the children ran forward from the fire truck to help, as Helga limped behind them. 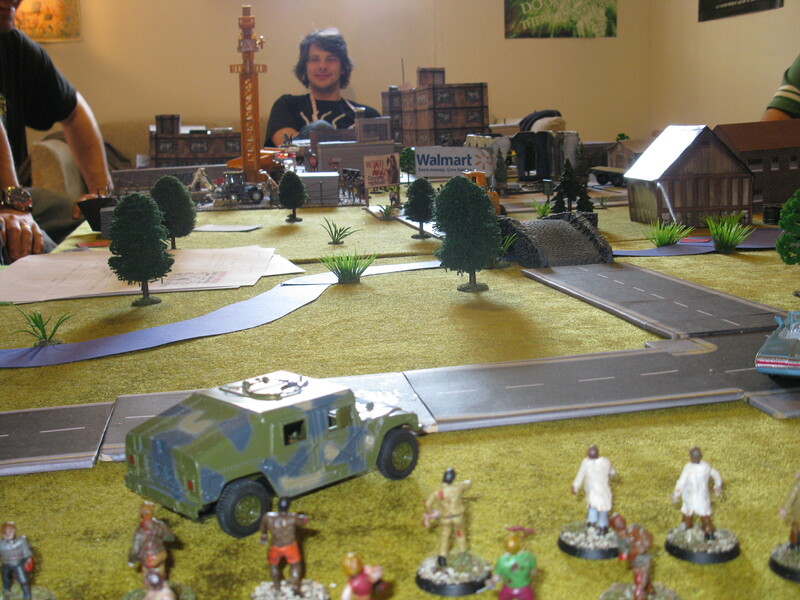 Harry managed to kill the zombie attacking Mr. Moose with his slingshot, while Jessy double-tapped those companions who had fallen. Better that then have them come back as undead. 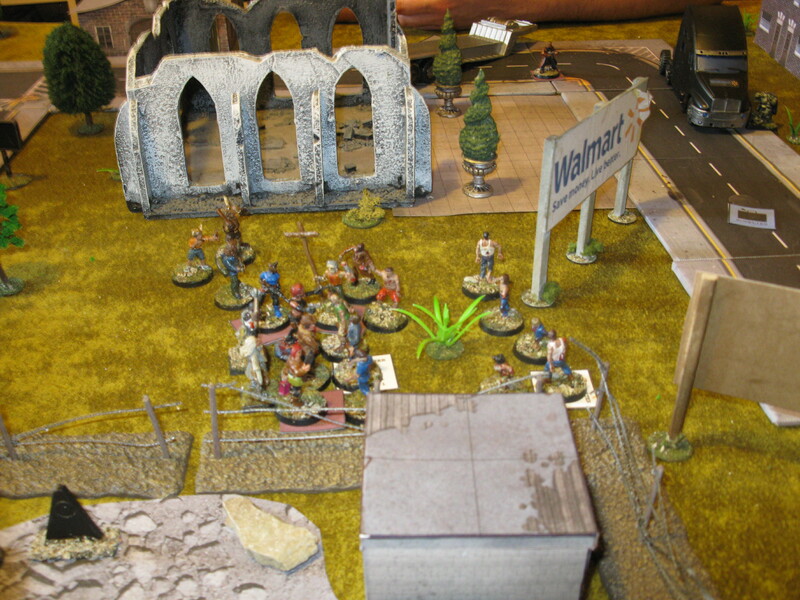 While they managed to finish of this group of zombies, the sound of gunfire seemed to attract an even larger herd. They quickly devoured the three survivors who Tommy had spotted on the ridge an hour or two earlier—and who, as predicted, had returned to steal the Humvee. Cindy-Lou darted towards the Walmart semi and started it up. She got there just in time, as yet ANOTHER zombie boss appeared. She promptly ran it over. 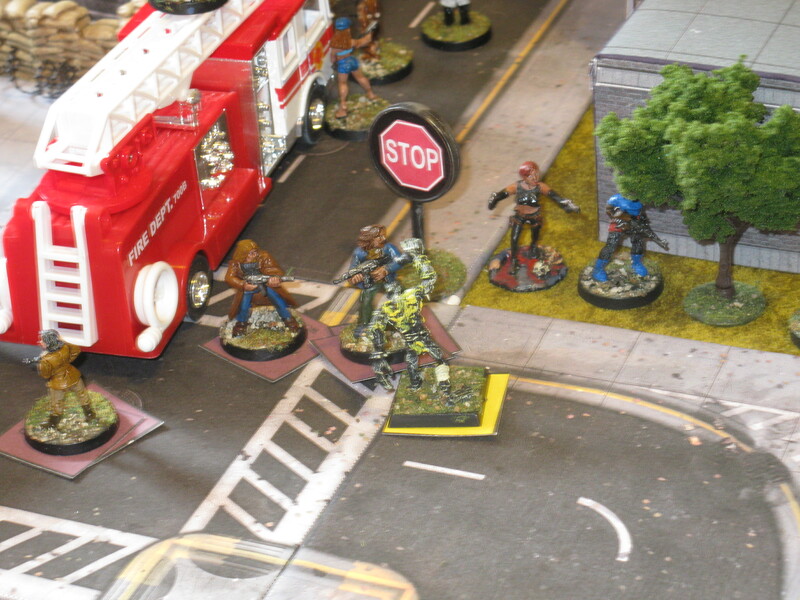 As Cindy-Lou mowed down one group of zombies with the truck, former Olympian Laurie sprinted to the loader and started it up. Jessy joined her. 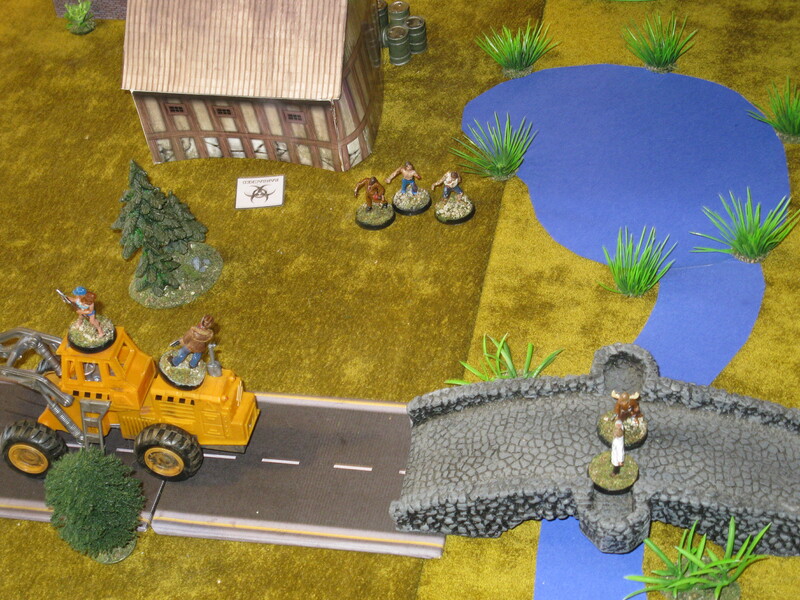 Laurie had no time to spare to turn the vehicle around, however, and instead threw it into reverse and headed towards the herd, now approaching the bridge. Cindy-Lou followed behind in the semi, finishing off the walkers that Laurie didn’t entirely terminate the first time. 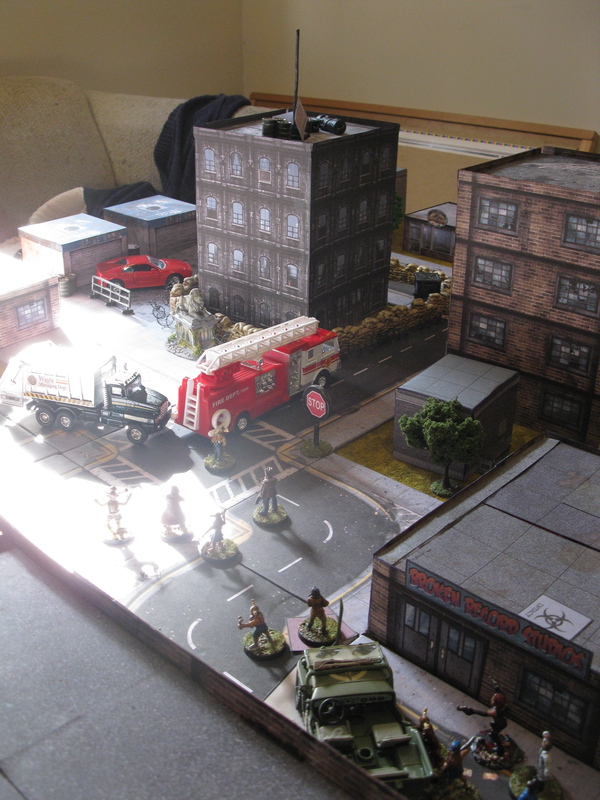 Unfortunately, running over more than a dozen zombies had left the loader rather worse for wear, with some of the hydraulics damaged by grasping undead hands, and what looked like a couple of former bankers stuck between a rear wheel and the axle. They would have to abandon it. Tex insisted on running after something he saw in the pond. It turned out to be a slingshot. The Mooseketeers now had a WalMart truck to go with the Humvee they had taken from Fort Gingrich—the perfect transportation if they intended to sneak themselves into the secret WalMart submarine base. Unfortunately, poor Laurie wouldn’t be one of the assault team. While Helga and Mr. Moose seemed to recover from their bites with no ill effects, Laurie soon developed a high fever, and a gaunt and hungry, vacant expression. When she turned down smores and tried to eat Jessy instead, Mr. Moose knew the time had come . Laurie Kraft—former Olympian, and forever a member of Herd #704 of the Mooseketeers of America—was given a full moose burial, complete with a salvo of commemorative gunfire. Sadly, this was one moose that had to be left behind.